Address: Blue Waters Centre, 3 Porterfield rd, Bloubergrand, Cape Town. At the Cattle Baron Tableview Blouberg we serve the Finest Cut Meat Grilled to Perfection, excellent lunch buffet, well researched Indian curry on the buffet, great seafood, poultry and vegetarian meals. We cater for romantic evenings, parties, family dining and social evenings. The restaurant is child friendly and have specials for pensioners. Our lunch buffet has become extremely popular with business people, pensioners, travellers, tourists and families because of the wide variety of tasty dishes on offer. The Cattle Baron in Tableview is geared towards serving quality meals and offering great service without charging excessive prices. This year we will be entertaining our local customers, visitors from the entire South Africa and International visitors. No one will be neglected and the local customers can rest assured that we will look after them with exactly the same care and afford them the excellent service and attention to which they have become accustomed. Our blog and other social media will provide great information and special offers to all Cattle Baron Tableview customers and followers. We have a stringent training program for all staff in all aspects of the restaurant and the utmost care is taken to produce excellent quality products under the best possible conditions. Our staff members are carefully selected and only employed after going through a rigorous selection process. We purchase only the best ingredients which afford us the greatest possible chance of producing the highest quality products. All purchases are inspected based on Cattle Baron specs before allowed onto the premises. Over the past 22 years the Cattle Baron Steak Ranch in Tableview Blouberg has consistently been voted amongst the top steakhouses in the country, including as runner-up as best steakhouse in the country, and voted the best chain STEAKHOUSE in 2017. It is therefore no surprise that this landmark restaurant has grown from strength to strength and has become a Franchise training store with international recognition. The owners of this Cattle Baron were presented with prestigious awards for their contribution to the Steakhouse industry in South Africa, and were the first Cattle Baron Franchisees at inception in 1996. They own and personally operate Cattle Barons Tokai and Tableview Blouberg and previously also owned the original Cattle Baron in Bellville before selling it to another Franchisee. Carlo is also now Managing Director of Cattle Baron Franchising Gauteng. The Cattle Baron Tableview Blouberg subscribes to the highest world class hygiene practices and is certified as an approved food production facility. It has also been awarded 100% perfect (507 checkpoint) – without defect – Franchise Inspections over the past 7 years. Absolute commitment to world class quality and service is why the Cattle Baron Tableview Blouberg is recognised for its excellence; and as the trendy fad restaurants come and go, the ‘old fashioned’ steakhouse endures. Food writers and critics have consistently voted this as the venue of choice for excellent steaks.We are also well known for our top class seafood, poultry and vegetarian dishes. All steaks are expertly cut and styled in-house after being carefully aged under perfect conditions for 18- 30 days. Only Super AAA Grade beef is served at Cattle Baron Tableview Blouberg. All food is prepared from fresh or raw and serving time for the ala Carte menu takes a little longer but our customers say that the quality of the food is worth the wait. We promote a relaxed yet bustling atmosphere to the enjoyment of our valued customers whilst they spend the time chatting and drinking cheerfully in anticipation of a wonderful meal. 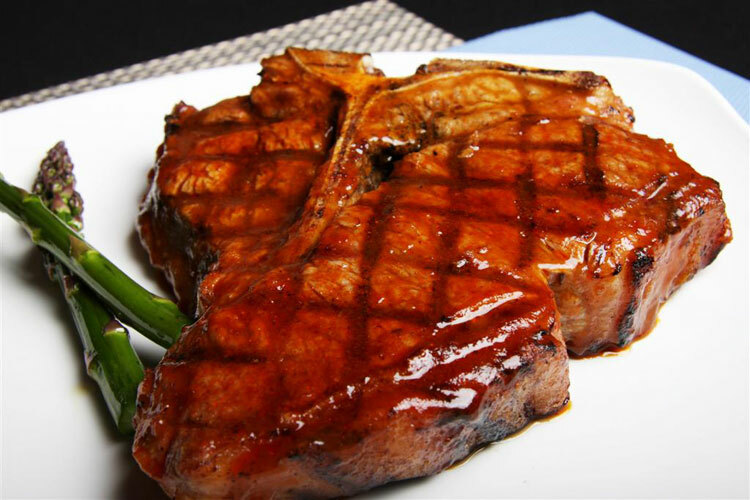 It is common knowledge that all those who appreciate a well prepared, tender and tasty steak know exactly where to find it – the Cattle Baron in Tableview/Blouberg and Tokai. Owned and operated by Carlo, Riette, Ken and Desiree since 1996. Please let me know of any specials or events your restaurant has. Please click on the following link in order to view our specials.